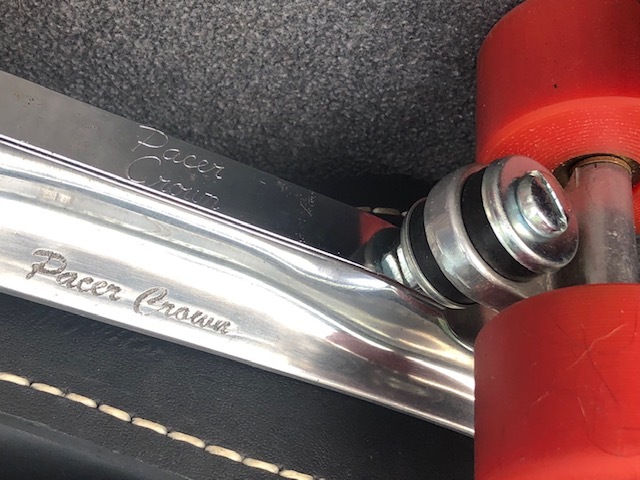 Hi Doc I know you're not a fan of Pacer stuff but I have a friend who has a set of Pacer Crown plates that her late mum brought for her and has asked me if I can refurbish them as she wont part with them for anything. So Questions are what pivot cups would fit these and also what cushions would fit. What amazes me is she is still flying around with things in this condition? I do believe dvw will know the answers to this one. If he does not chime in in the next day or so, feel free to bug him. Thanks doc The bearings have cleaned up a treat even the plates are looking slightly better. 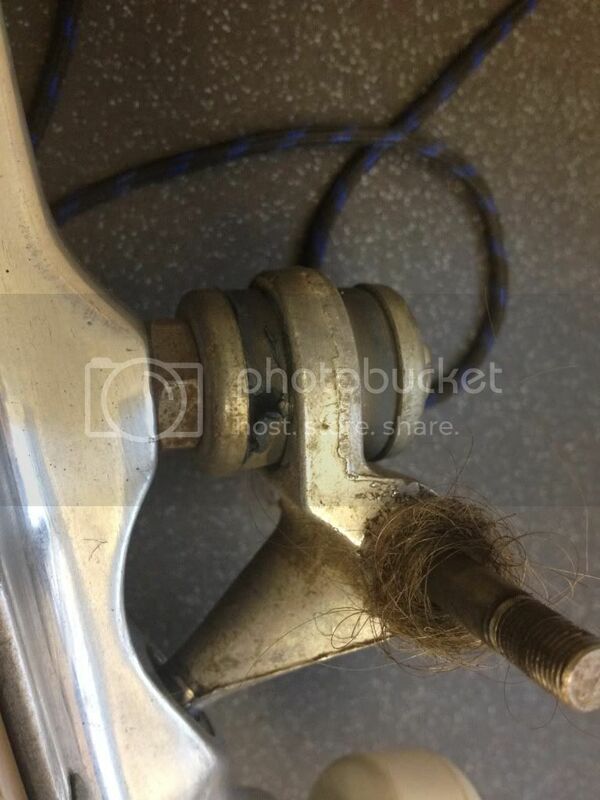 I'm still wondering how she was skating them in this condition? So Questions are what pivot cups would fit these and also what cushions would fit. It will be no surprise to know that Pacer pivots fit. But nothing else, I'm afraid. I have some I'd gladly send you if we can find a way to get them there without it costing a king's ransom. For cushions, just about any 14mm barrell will work. The Sure Grip supers should fit, and you'd have the option for a conical lower then. I also have some of the OEM rubber ones, but I would dissuade you from using them if you could avoid it. Snyder reverse kingpins will fit also, and will get you out of the screwdriver business for good. The plate is otherwise non-spectacular, but it will indeed take on a lovely shine if polished on a muslin wheel with some jeweler's rouge. What amazes me is she is still flying around with things in this condition? Wow, those take the cake for largest collection of rink scuzz. I shudder to know what the rest of the rink looks like. Thanks I just received a PM but will let you know. The rink we skate at starts very clean to be honest but, is full of kids, very few adults skating. 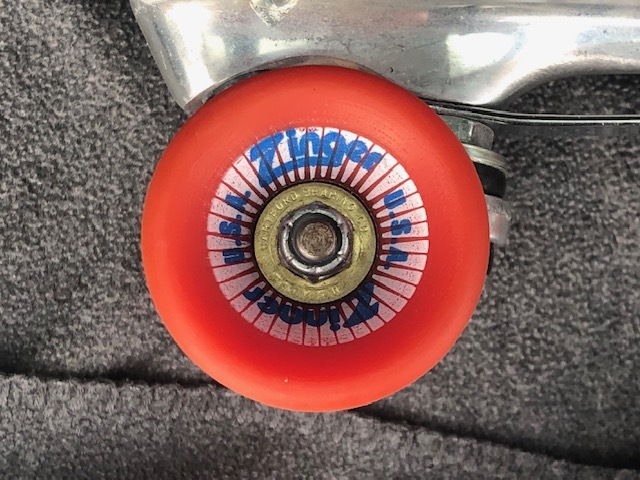 She is one of those skaters the wheels roll so it must be fine types and the bearings had never been cleaned in around 3 years the time she got some new wheels. It looks like the action has never been altered since the day they came out the factory? I asked and just got a blank look and a oh can you. 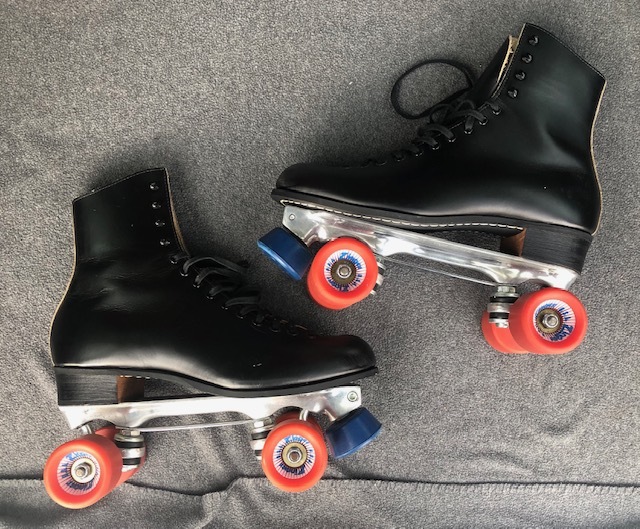 They’re my size, previous owner said they were put together for her husband in the ‘90s. I wanted something solid & USA made, howd I do!? Skated them for the first time the other night, different than rentals, felt fast & smooth. Not sure if the trucks are set up right or not. And they need some break-in, I’d guess. 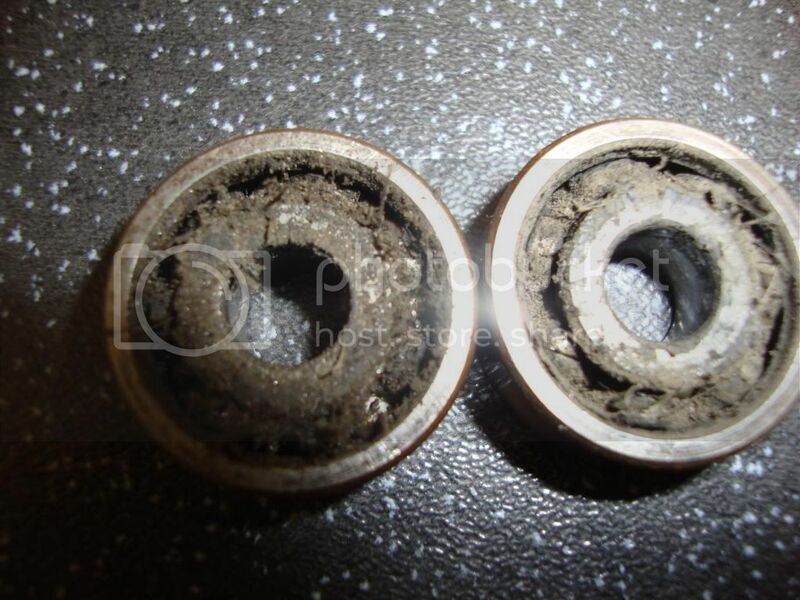 . .
Found the pivot cups crumbled, ordering new cups + Shure-Grip Super cushions! Ditch the king pins. The thread is 3/8 16 UNC. Get a bolt @ the hardware.